I league team East Bengal enters the final of super cup final by defeating ISL team FC Goa in the first semifinal. 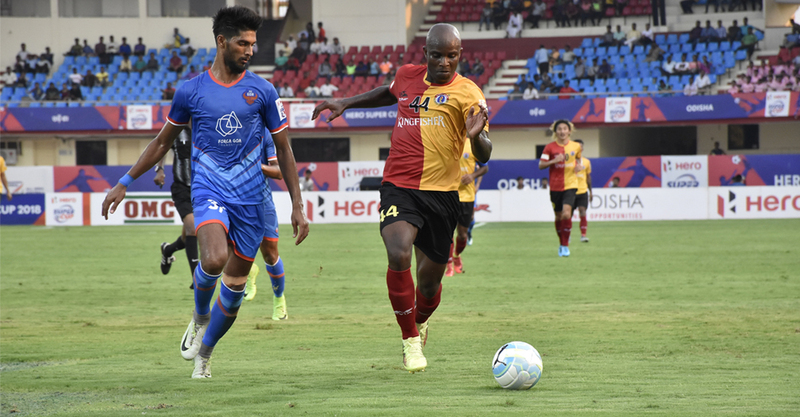 East Bengal marched to the final with a single goal margin scored by Nigerian Striker Sudu omagbemi on 78th minute of the match. Goa played the semifinal with their second team as five players from playing elleven is under suspension due to the misbehavior in quarter final match against Jamshedpur Fc. Goa was not able to get to the track from the beginning of the game. Goal keeper kattimani’s excellent performance saved the team from losing the match for a big margin. The winners of second semifinal between Bengaluru Fc and Mohan Began will be playing the final with East Bengal on 20th.